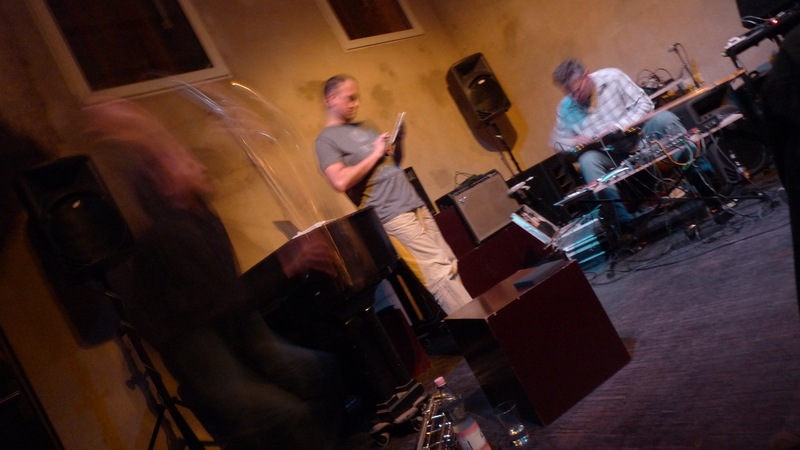 Gunnar Lettow and Korhan Erel have been playing as a duo since November 2011 and have already had many concerts in Germany. This musical partnership has recently produced its first album “Bad Falling Bostel” on the Portuguese label Creative Source Recordings. Lettow and Erel will embark on a tour in Germany to promote their album. The 8-concert tour will begin in Hamburg on September 26 and end in Munich on October 4. They will collaborate with double bass player John Hughes in Hamburg. This entry was posted in Uncategorized and tagged Album, Almanya, avantgarde, Bad Fallingbostel, bilgisayar, computer, computer music, concert, controller, creative sources, Deutschland, doğaçlama, Duisburg, effects, electric bass, electro-acoustic, electroacoustic, electroacoustic music, electronics, elektrik bas, elektronik, Hamburg, Hannover, hazırlanmış elektrik bas, Karlsruhe, Kassel, München, Münih, Munich, nesneler, objects, prepared electric bass, stuttgart, tübingen, tour, turne. Bookmark the permalink.